World Milk Day 2019 will be celebrated by the people all over the world on 1st of June, at Saturday. World Milk Day was first established to be celebrated every year on world level on 1st of June by the United Nations Food and Agriculture Organization. It was selected on 1st of June as the national milk day was already being celebrated by many countries during this time. World Milk Day is celebrated by the people all across the world on annual basis on 1st of June. It is celebrated to increase the common public awareness about all aspects of the natural milk such as its natural origin, milk nutritional value and various milk products including its economic importance throughout the globe. 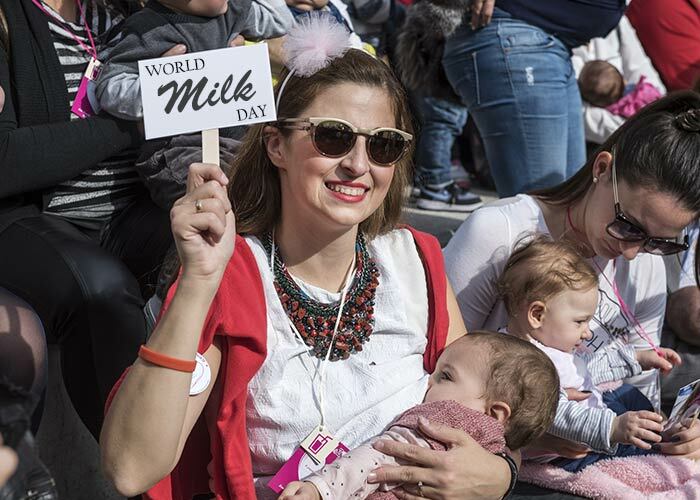 It has been started celebrating in several countries (Malaysia, Colombia, Romania, Germany, United Arab Emirates, USA and etc) by the participation of various consumers and employees of milk industries. Milk is focused as the global food throughout the celebration of world milk day. Varieties of promotional activities (describing the importance of milk as a healthy and balanced diet) are launched by the International Dairy Federation on its website online. Various members of the health organizations take part in the celebration to work together in order to distribute the message of milk importance to the common public through the promotional activities all through the day. World Milk Day celebration has impacted large population to understand them the reality of milk. Milk is great source of all the healthy nutrients required by the body (calcium, magnesium, zinc, phosphorus, iodine, iron, potassium, folates, vitamin A, vitamin D, riboflavin, vitamin B12, protein, healthy fat and etc. It is very energetic diet provides instant energy to the body as it contains high quality proteins including both essential and non-essential amino acids and fatty acids. As milk is an important food for everyone and must to add in the balanced diet on daily basis, world milk day celebration has brought an effective revolution among the common public about the importance of milk. World milk day celebration brings a perfect opportunity every year for each one all through the word to get the new messages about adding milk in the balanced diet. It is celebrated by the association members on national and international level by working together to convey the message among public through lots of promotional activities. World milk day celebration was initiated by the UN Food and Agriculture Organization in 2001 in order to encourage common social public about the milk and dairy products consumption as their daily diet. All aspects of the milk are annually celebrated through this event in many countries all around the world. The number of countries want to take part in the celebration is increasing every year to bring more effect. Variety of activities related to the theme of the celebration is organized by the NGO, private and government health organizations including screen consumer education project of milk by SAMPRO (South African Milk Processors’ Organization), communication programs aiming to target markets and etc to promote milk health and nutritional advantages. Press releases, articles, news and etc are published to highlight the nutritional health benefits of the milk among consumers. Free milk distribution camps are organized on national level engaging the local celebrities to distribute the free milk packets among children. It is celebrated by the National Dairy Council online through many activities. Various other programs like discussion, quiz competitions, sports activities, essay writing and etc are organized in the schools, colleges, universities and other educational institutions to encourage students. > The theme of world milk day 2012 was “Drink Fresh Milk, Body Fit, Smart Brain”. > The theme of world milk day 2013 was “Milk for Health and Prosperity of Southeast Asian region”. > The theme of world milk day 2014 was “Milk is the First Food for Human” and “World Class Nutrition”. > The theme of world milk day 2015 was “Milk is the First Food for Human”. > The theme of world milk day 2016 was “Raise a Glass”. > The theme of world milk day 2017 was “Economic Development, Livelihoods, Nutrition”. > The theme of world milk day 2018 was “Drink Move Be Strong”.